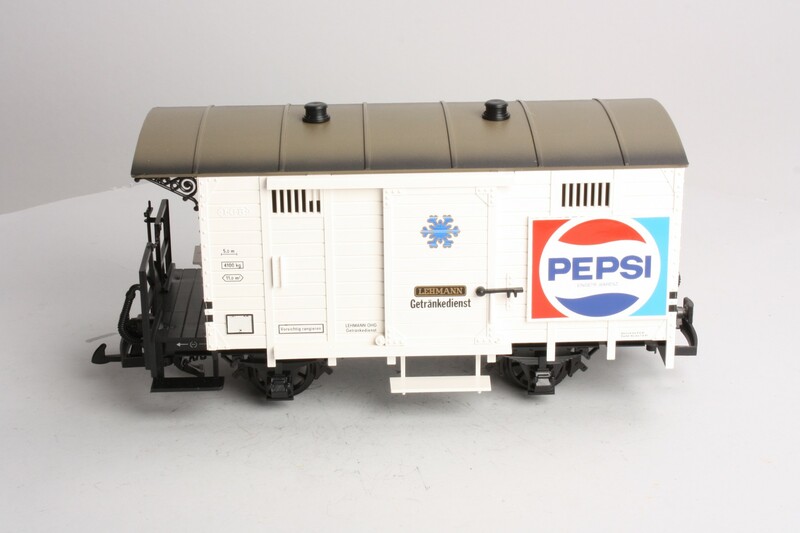 This is an LGB 4031 Pepsi Cola Boxcar. 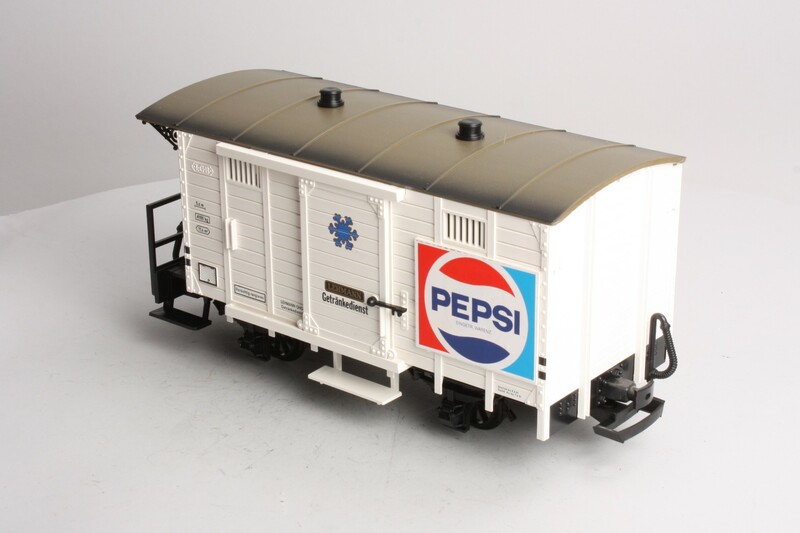 This boxcar features sliding doors, plastic trucks, latch couplers, plastic wheels and axles. The Trainz SKU for this item is 4240100.